HTC One M9e receives TENAA certification; phone to be unveiled on September 29th? Last week, we told you that the latest rumors revealed that the HTC One A9 will not be unveiled on September 29th as expected. The teaser that hinted at two releases on that date apparently has to do with the introduction of the HTC Butterfly 3 for China, and a new global version of the HTC One M9+ to be named the HTC One M9e. The legitimacy of that rumor got a little stronger today with the certification of the HTC One M9e in China, via TENAA. This model features a 5-inch IPS display carrying a 1080 x 1920 FHD resolution screen. That works out to a 441ppi pixel density. The MediaTek MT6795 SoC appears to be under the hood, featuring an octa-core 2.2GHz CPU. 2GB of RAM is inside, along with 16GB of native storage. Those requiring additional memory can access the 128GB capacity microSD slot found on board the unit. A 13MP camera is on back, while the infamous 4MP Ultrapixel front-facing snapper shoots selfies and handles video chats. Android 5.0.2 is pre-installed. The HTC One M9e is just as thick (9.61mm) as the HTC One M9+, but has inferior specs to the One M9+ in almost every category. The screen on the latter is Super LCD 3 as opposed to the IPS display on the One M9e. Additionally, the One M9+ features a QHD resolution (1440 x 2560) as opposed to the FHD resolution (1080 x 1920) on the soon to be introduced model. Two other differences involve the rear-facing camera (20MP on the one M9+ and 13MP on the One M9e) and the amount of RAM inside (3GB on the One M9+, 2GB on the One M9e). The new model does support 4G LTE connectivity. Instead of being introduced on September 29th, we now expect the HTC One A9 to be announced during huge media events that will be held next month in multiple cities across the U.S. HTC is expected to heavily market the handset starting in October. Where is the hero device, that really high-end smart phone? They could name it Desire 820+, why distracting M9. Honestly, I don't care. HTC took a wrong turn a long time ago and I'm not about to stick around to watch them drive straight off the cliff. After this last straw... now I don't. This was strike 3 for HTC. No, no I don't......anymore. Ugh! Come on, HTC you're killing me, here! I'm still waiting for a proper successor to the HTC One Max, which I'm still using. These recurring 5" phones they keep putting out are just teasing me now. Especially since the specs don't stand out at all from the crowd. I thought maybe the "improved One M9+" would be a true large-screened device. My last hope is the romured 02 handset. I'm just hoping that doesn't turn out to be a farce, like most other good rumors have with HTC lately. More inferior M9 variants, just what i expected this year from HTC. If they did go bankrupt, honestly i thought it would be for the best. It pains me to see them not even trying to be taken seriously. Where's their next flagship with Helio X20?? HTC is just killing itself with stupid phones. RIP HTC! What? Something is wrong with this article... I don't know, maybe the previous leaks were false, but this phone has nothing common with the M9!!+! !, maybe with the stock M9: same screen size, same resolution, etc. The M9+ had 5,2' screen, so yes, they can call it a toned down M9+ after the other specs, but the screen tells, that this is a toned down M9 in fact. This helio x10 cpu is not bad. It scores well over 5k multicore in Geekbench test. M9, M9+, E9+, E9, ME, now M9e, HTC r u joking? What could be the better way to become bankrupt? The Chairwomen who ousted Peter Chou doesn't seem to have any brains. Ever sice she took over, HTC portfolio has gone worst. The one major issue at the launch time of M9 was the super similarity to M8. But now to solve it the new management is dishing out same configurations with different suffixes to M9 and there by spoiling even the M series brand value, whatever is left. The final nail will come soon in the form of Aero A9, a blatant rip off of iPhone 6 design. Seems now Peter out of decision making, the management is forcing designers to come up with iPhone clone in hope of selling it to customers, who they think are fools. Expect 2016 M10 to be more or less similar to iphone design. The chairwoman you're railing against happens to be Cher Wang, co-founder of the company; the stock drop might have hit her hard, but at one time she was one of the richest people in the country. Regards, Alan F.
looks like i made right choice, i was waiting for 29 sep, but after couple romors just got samsung galaxy edge, proper 2015 specs with best screen. 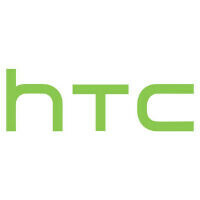 i was really hoping htc will bring something cool, just like they did with m7, but looks like they keep failing. Please put me in charge of HTC. I would knock it out of the park.